Prestige Drives and Roofing is a local family run business with over 30 years experience in the driveway business. 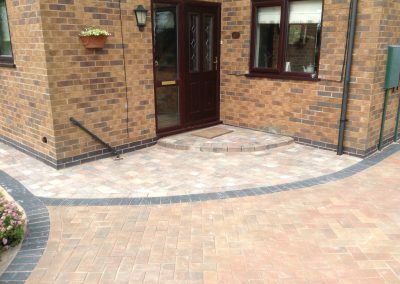 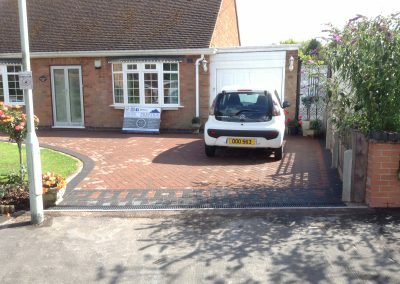 We are specialist installers of block paving Leicester particularly driveways, but we also install patios, steps and garden features. 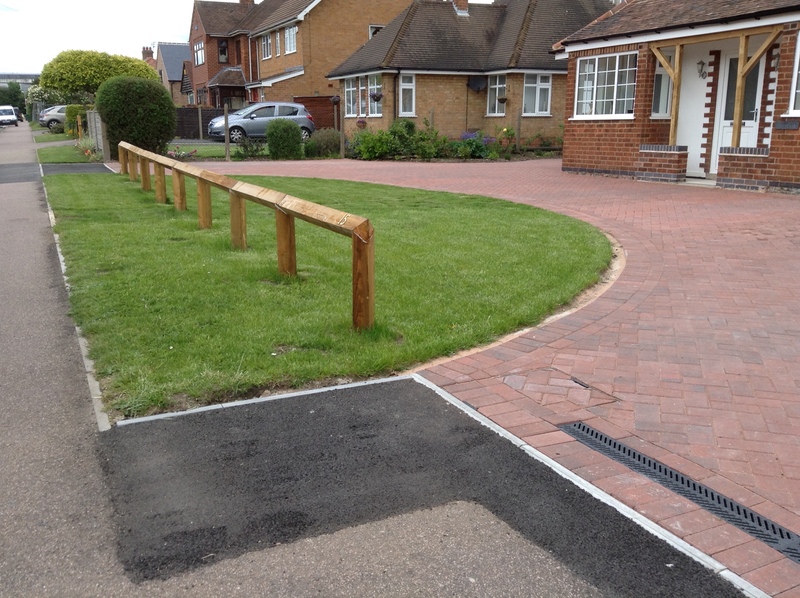 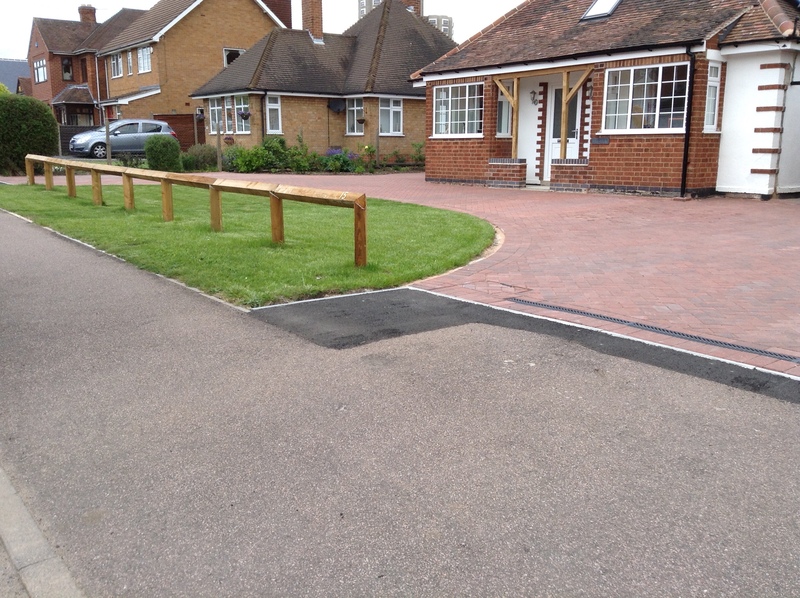 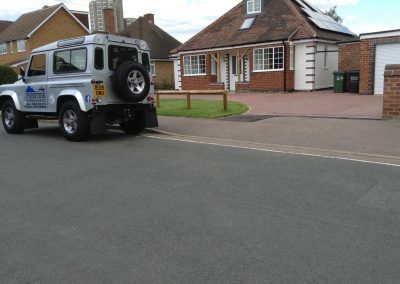 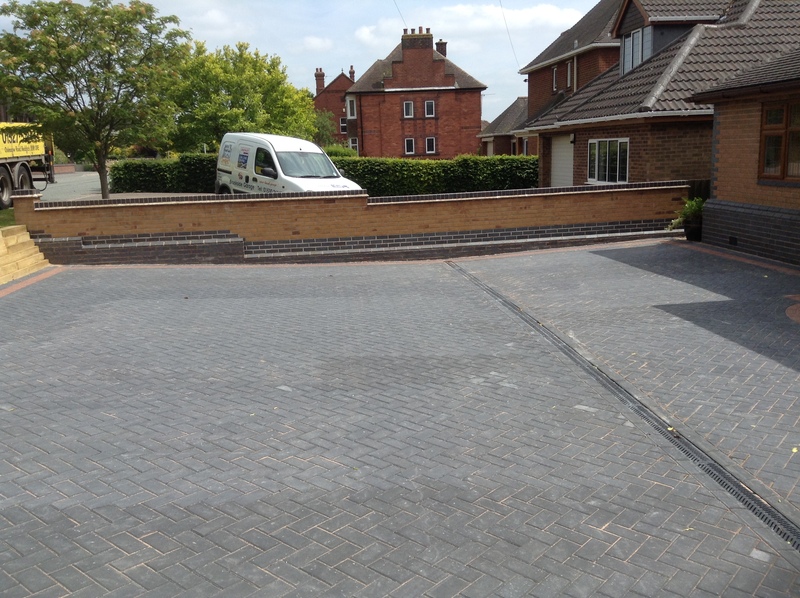 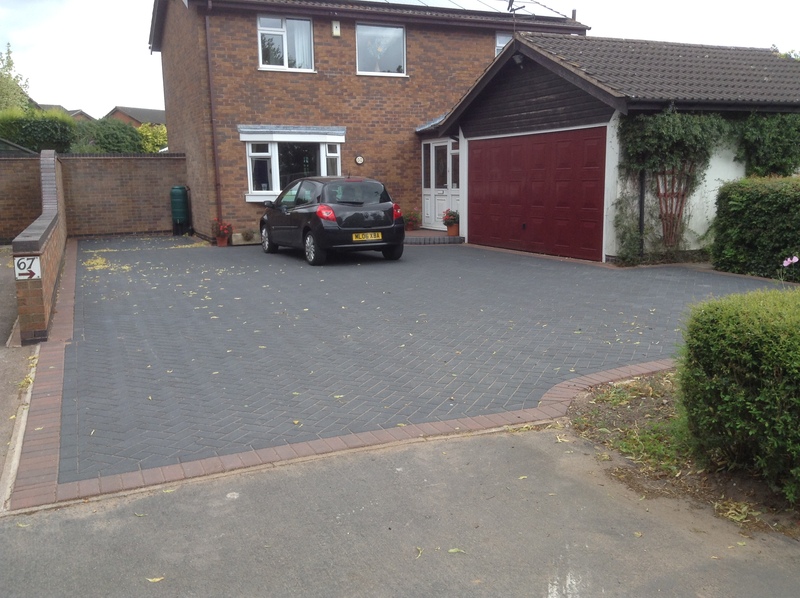 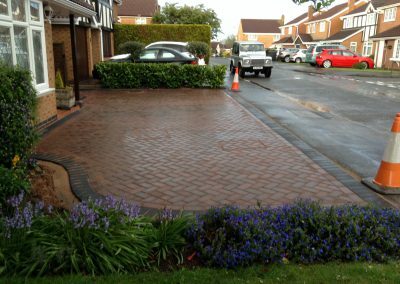 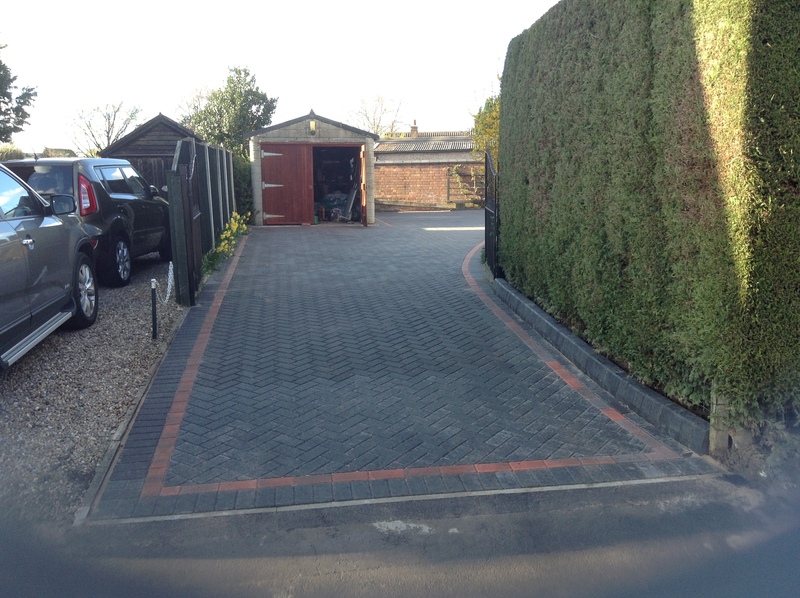 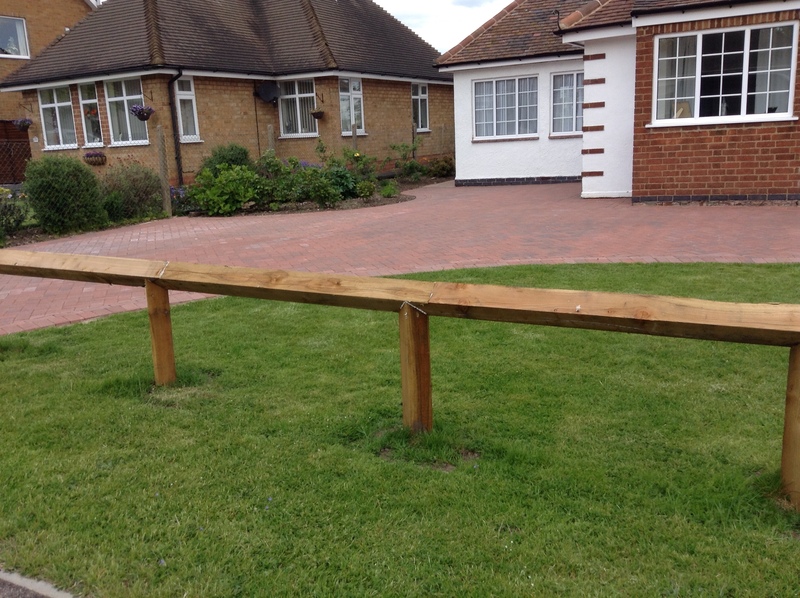 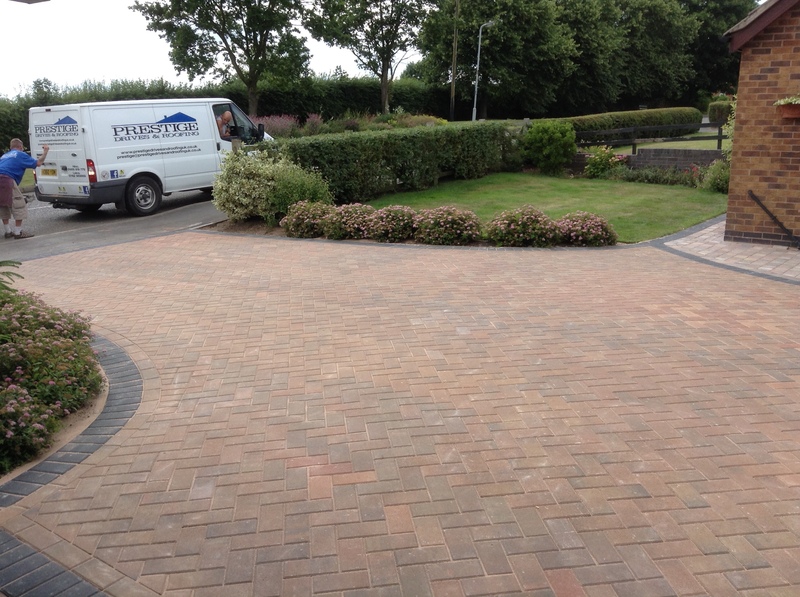 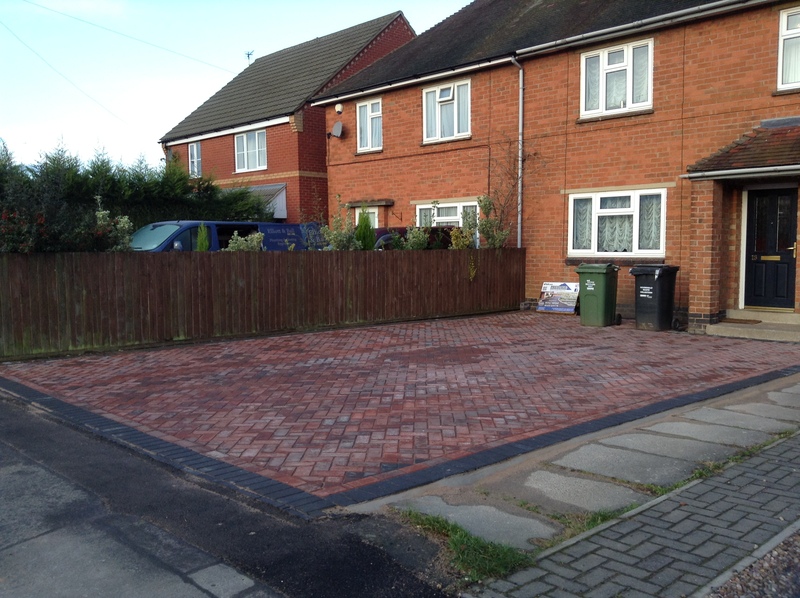 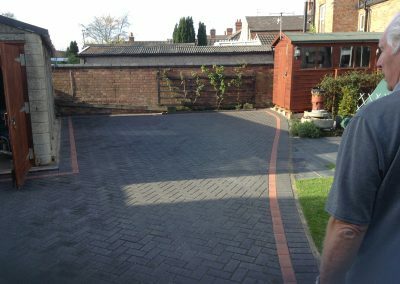 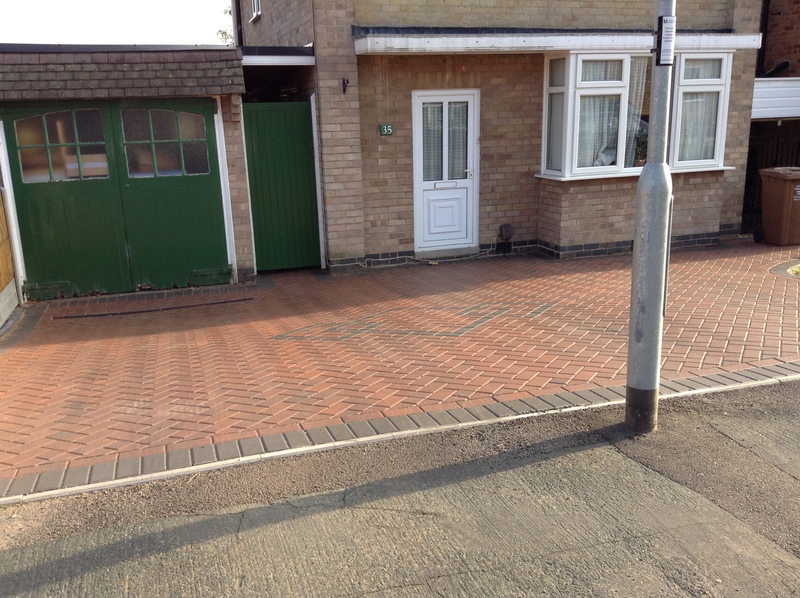 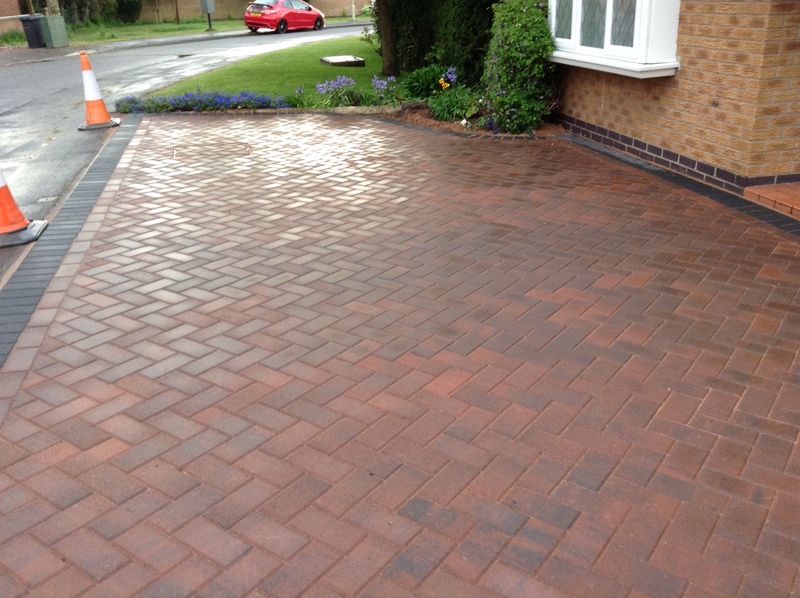 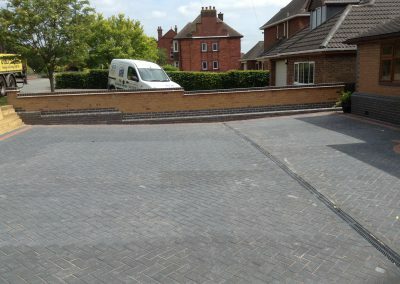 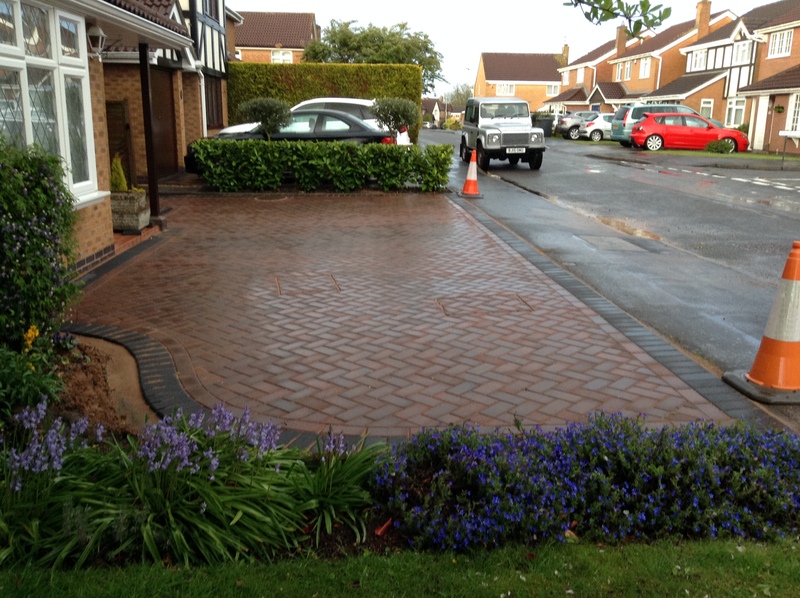 We install two types of block paving, modern and aged effect. 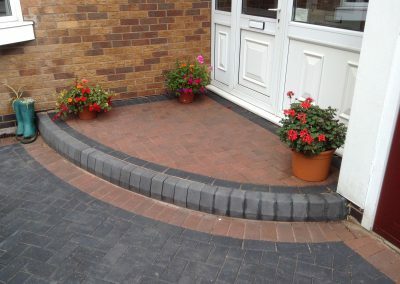 The modern blocks are as you will find in many of the DIY outlets such as B&Q, Wickes etc. 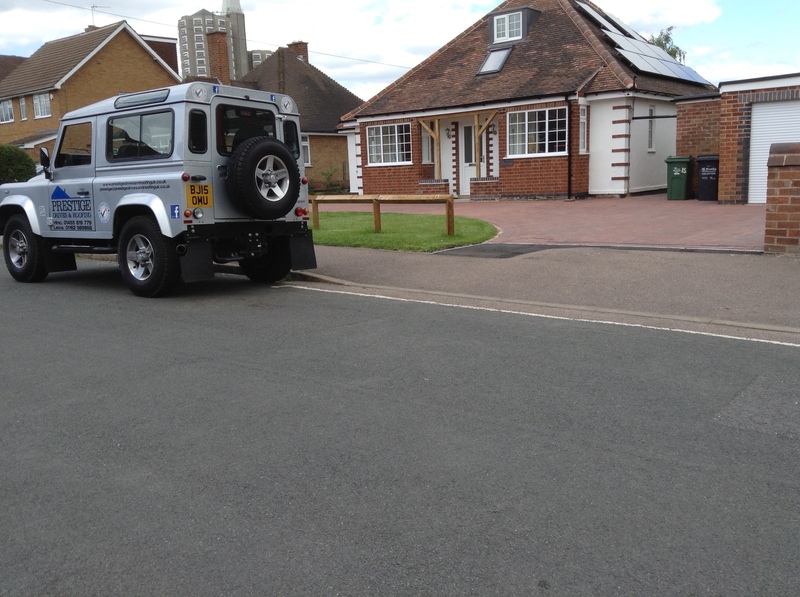 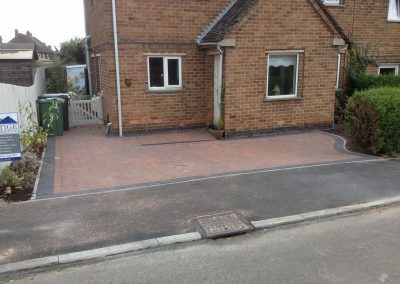 But we also fit what is known as Tumble Paving. 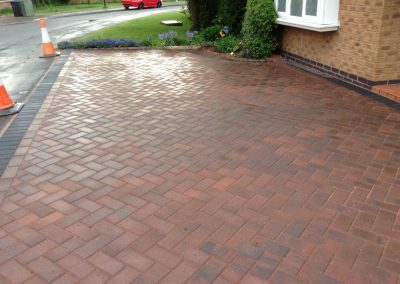 This is another type of block paving, but it has an aged effect so is ideal for character properties such as cottages, large homes and mansions etc. 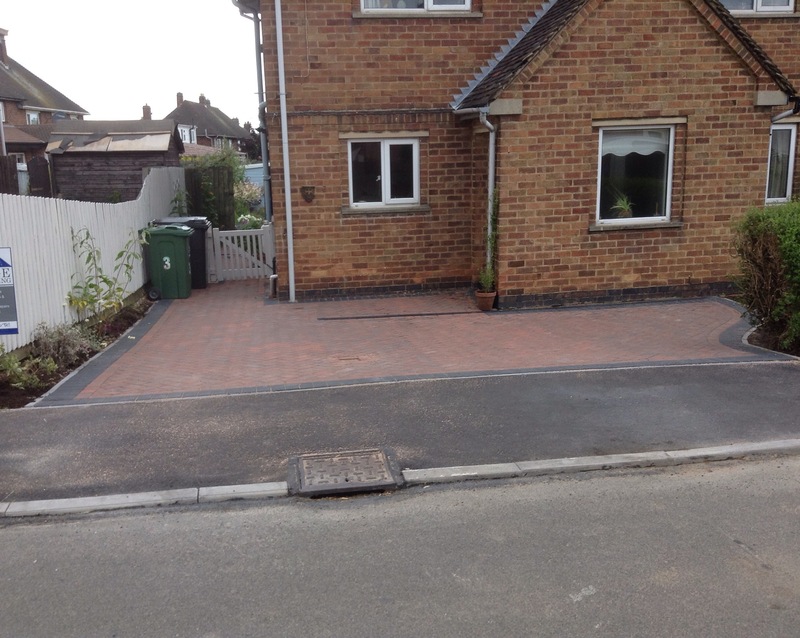 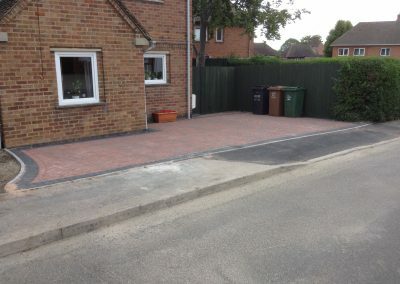 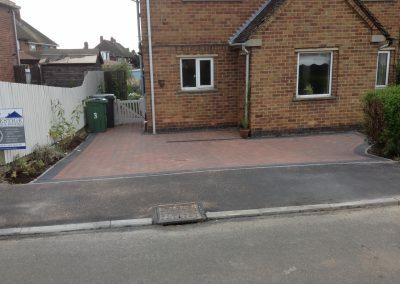 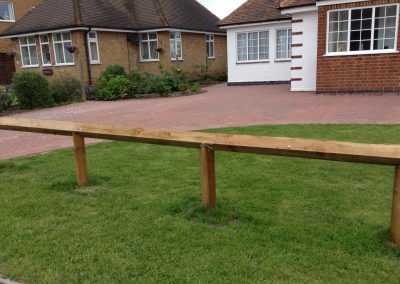 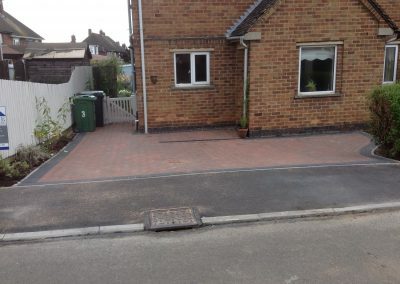 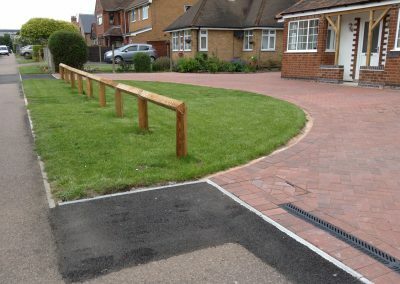 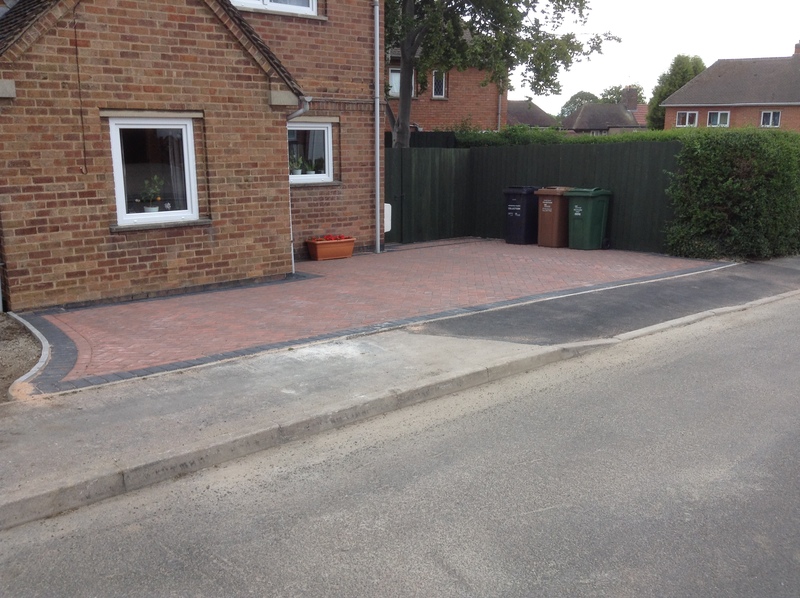 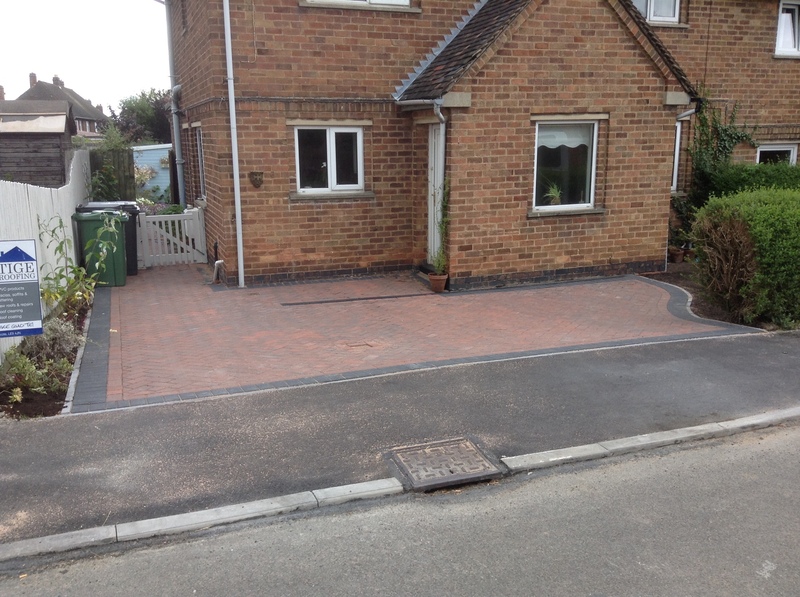 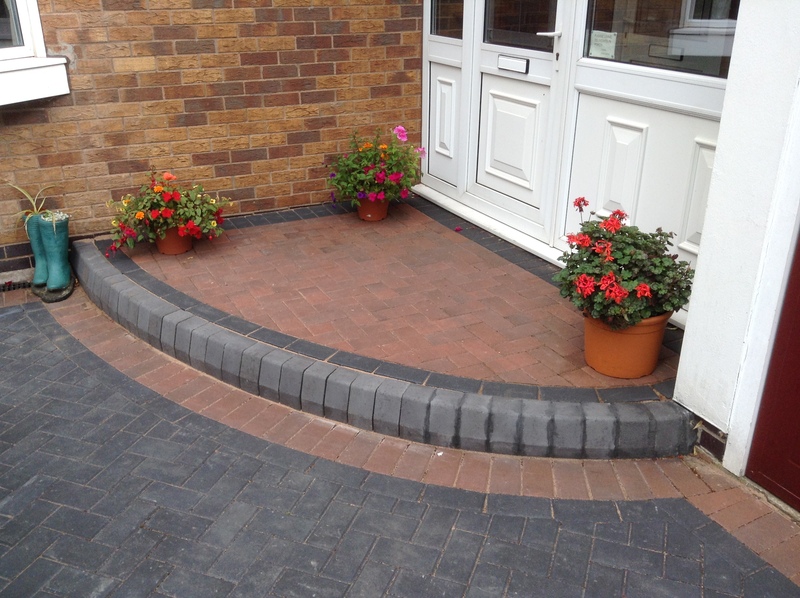 In general, new homes tend to have modern block paving, whilst older properties tend to have the Tumble paving. 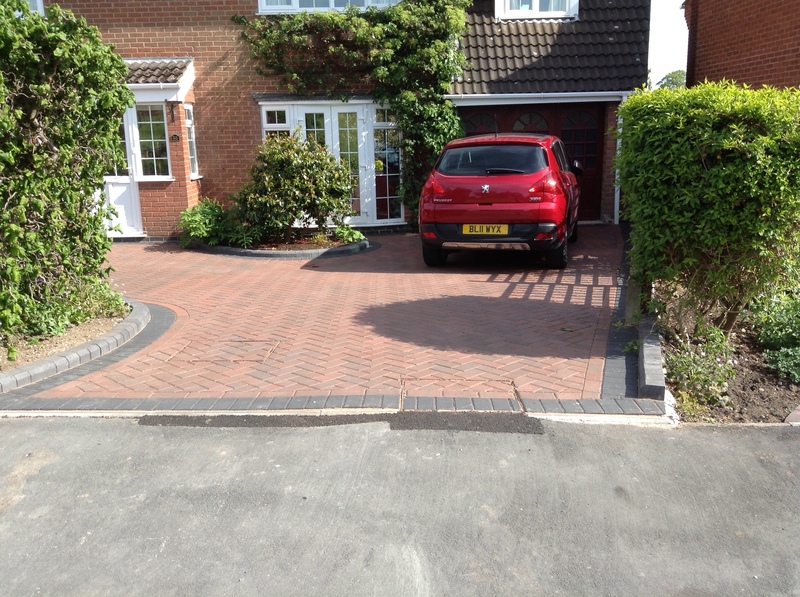 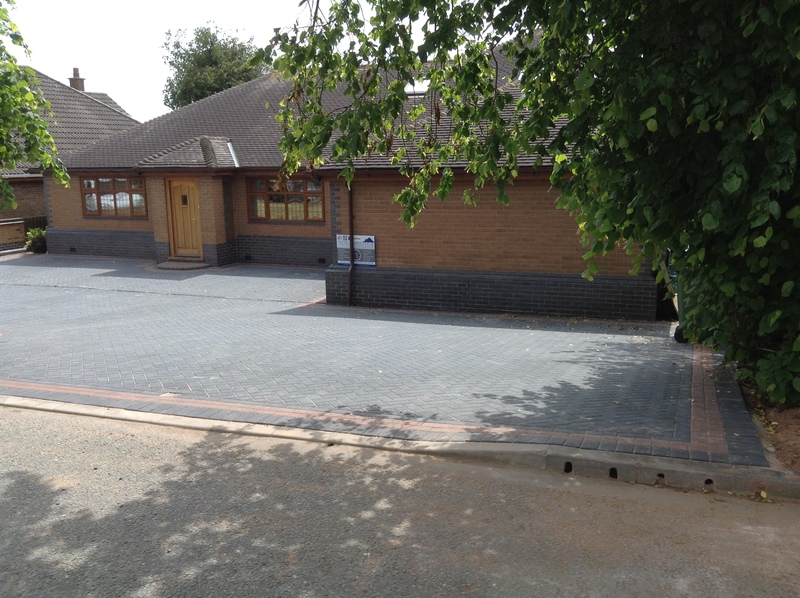 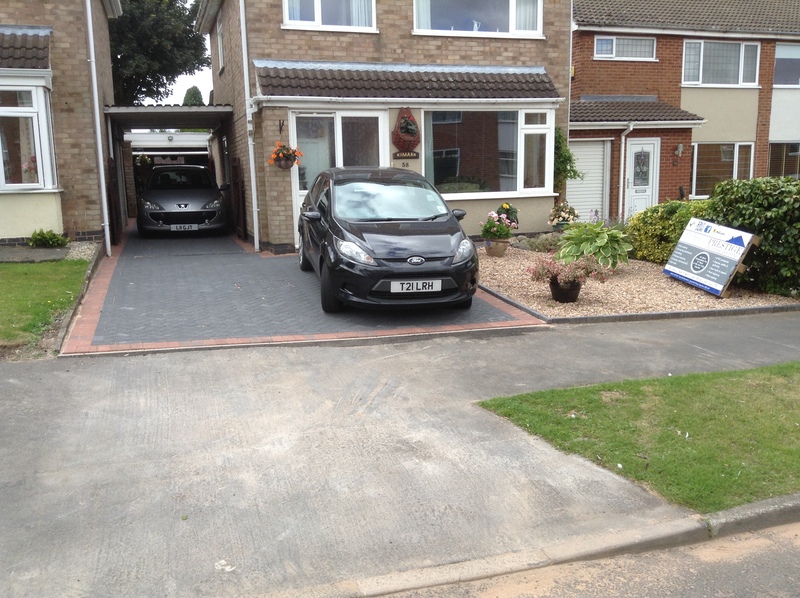 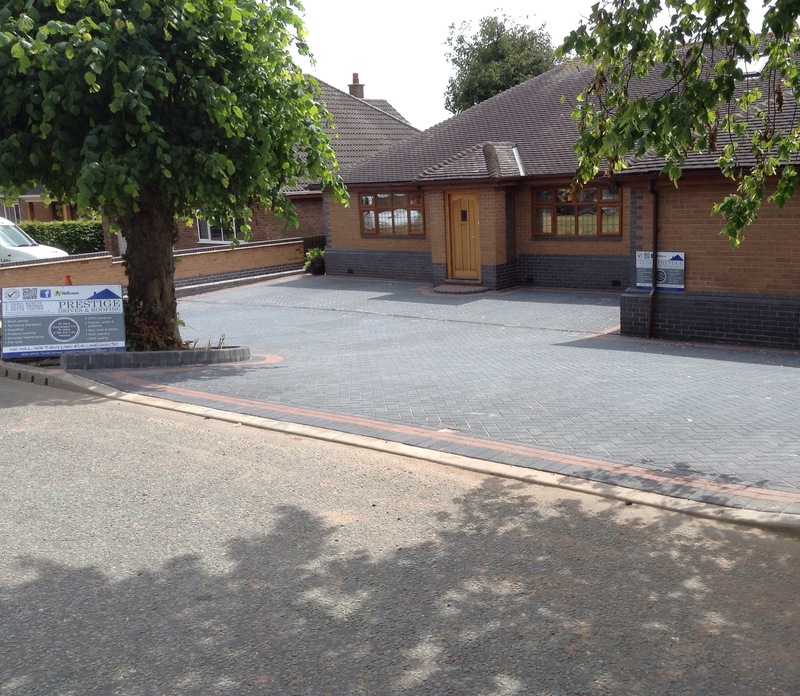 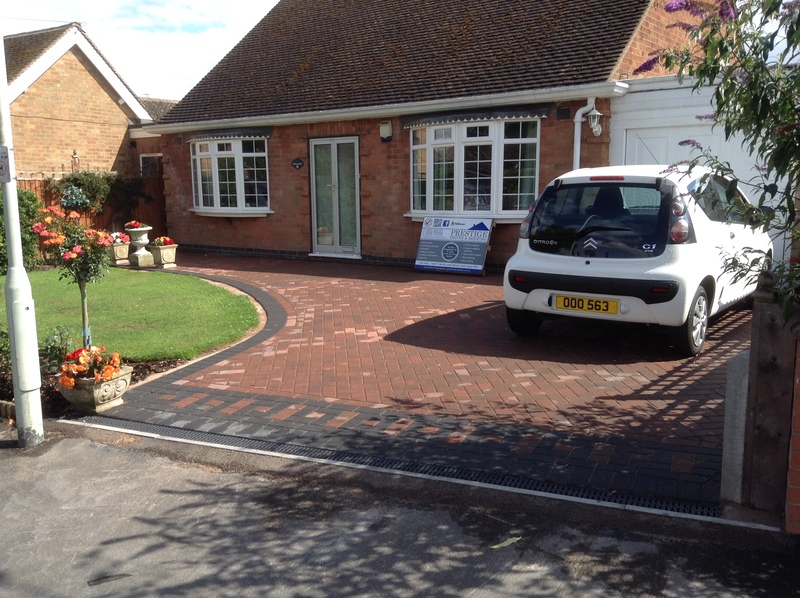 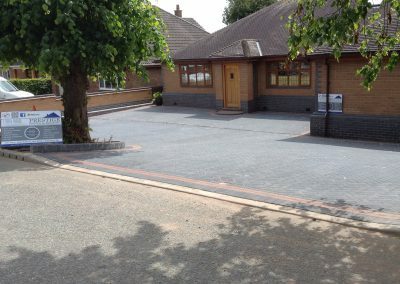 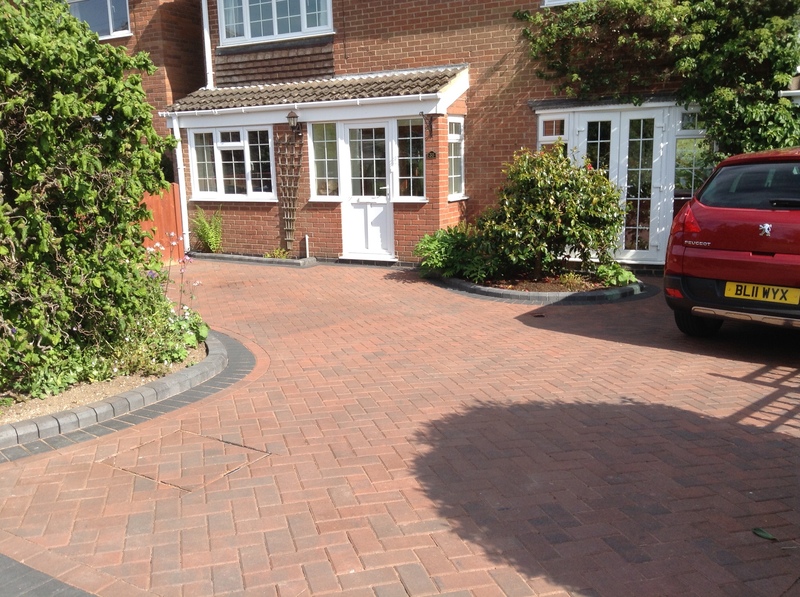 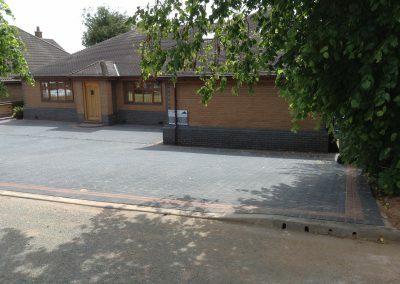 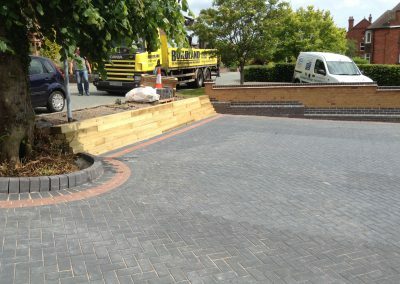 Click here to take a look at Tumble Paving. 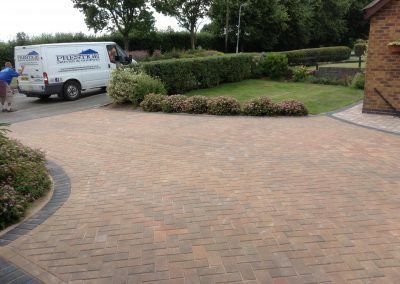 Both types of block pavers come in a variety of colours, we will be happy to show you examples when we provide you a free quotation. 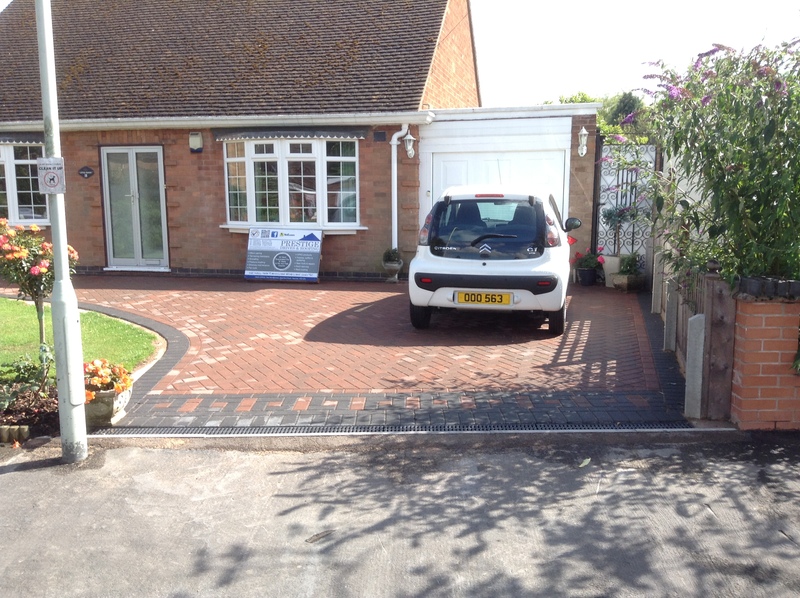 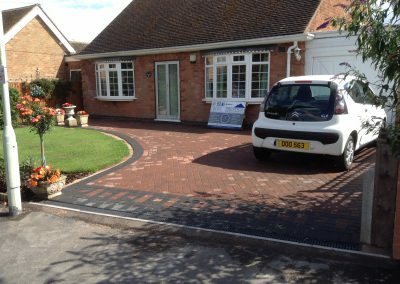 Block paving has become popular with homeowners because of its aesthetic appeal. 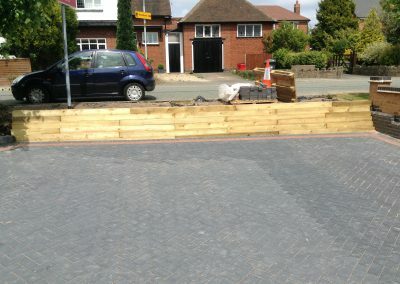 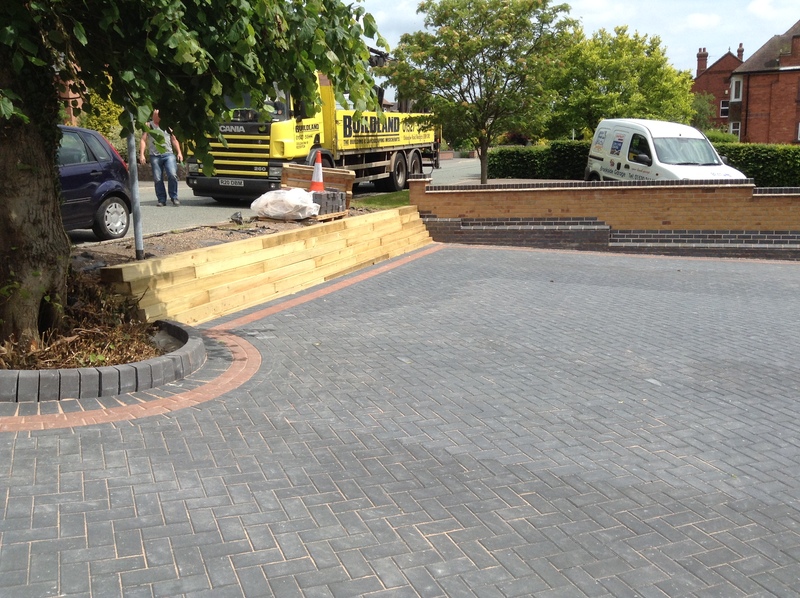 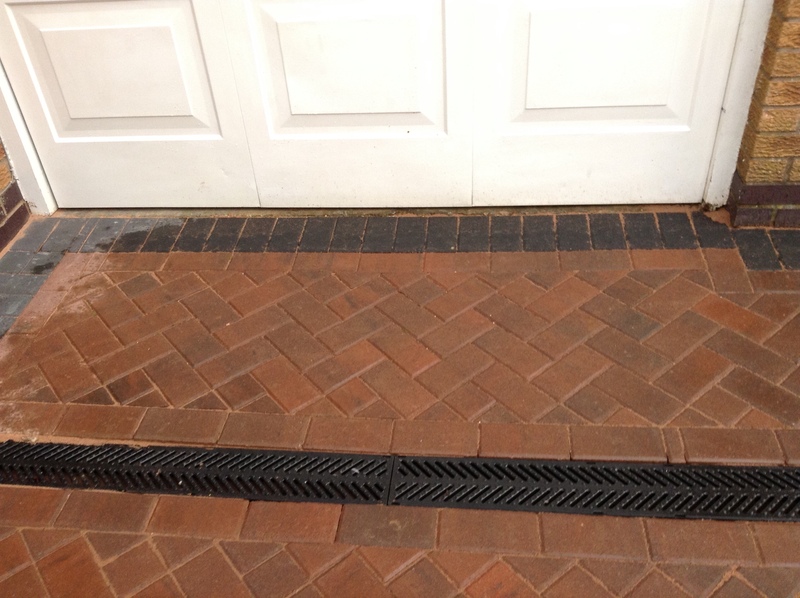 There are various ways we can lay the block paving, this includes herringbone, stretcher bond and basketweave. 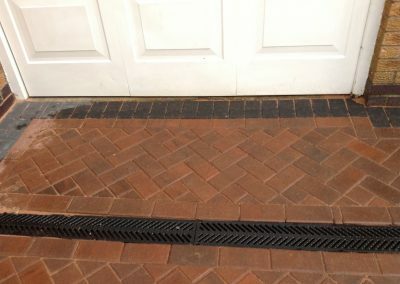 If you’re not sure what each are, check out the diagram below. 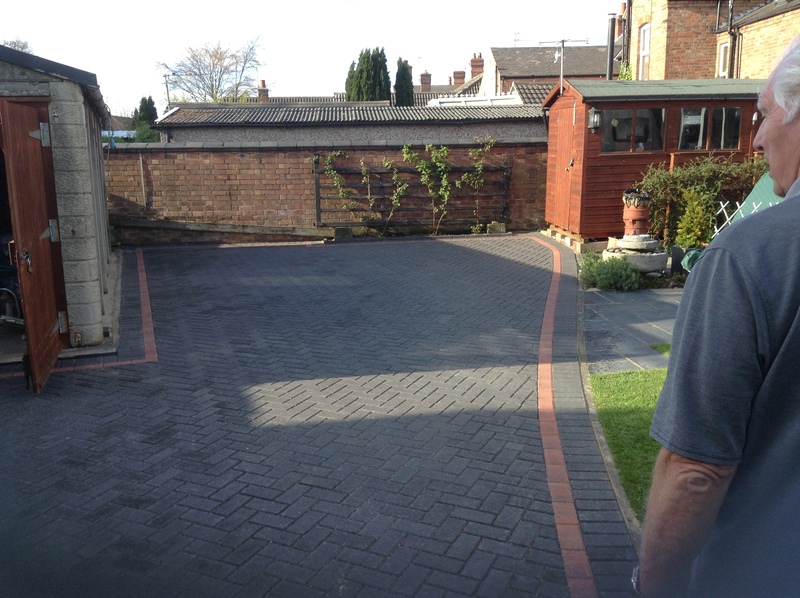 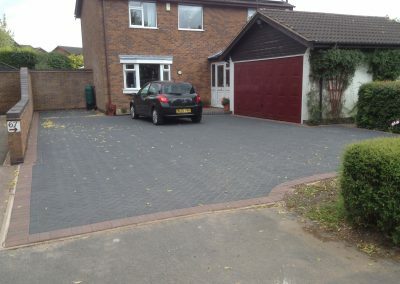 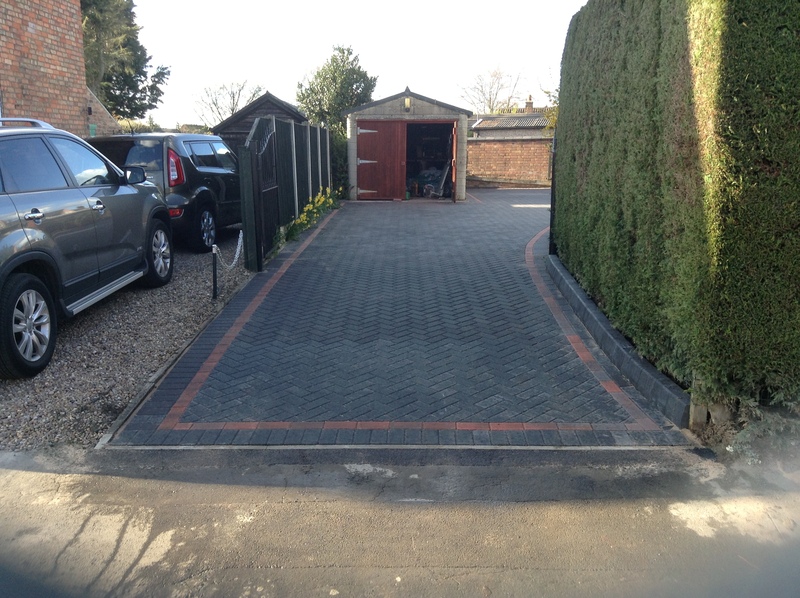 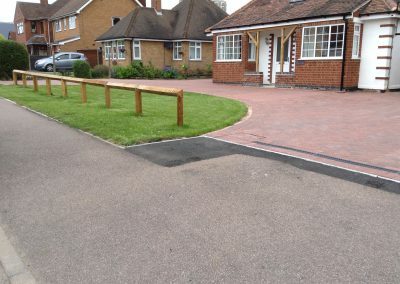 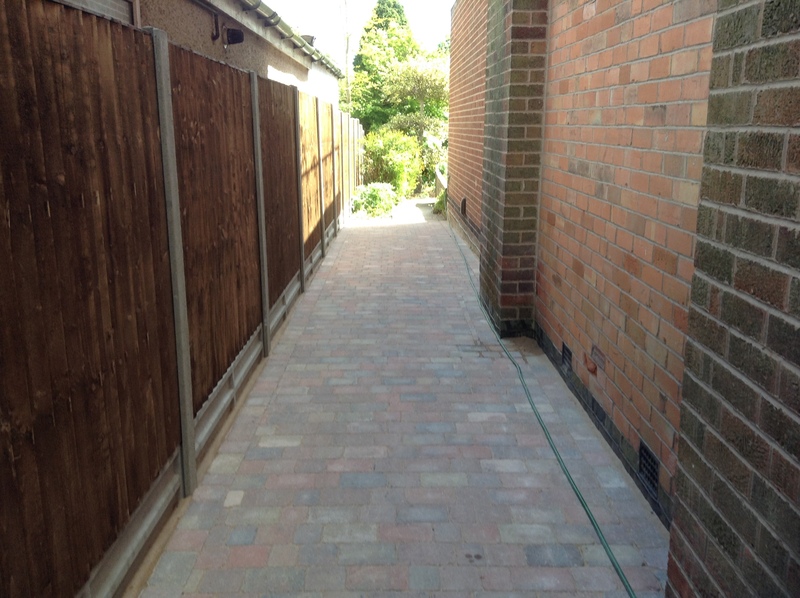 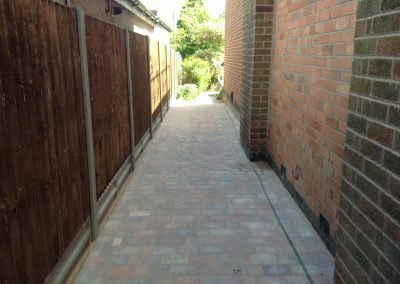 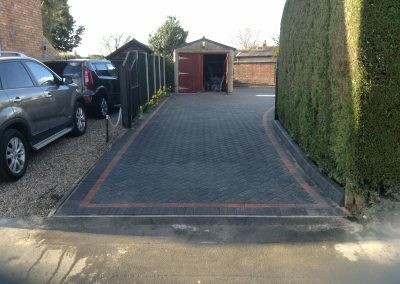 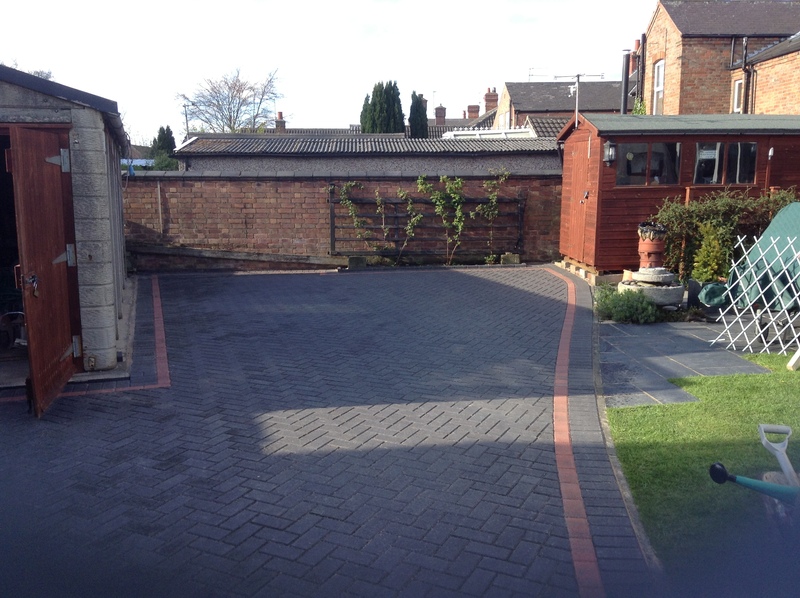 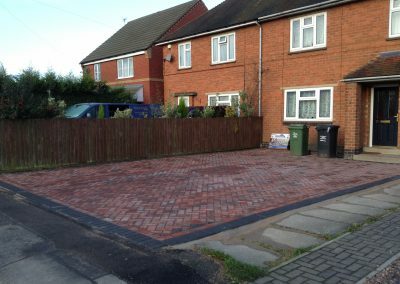 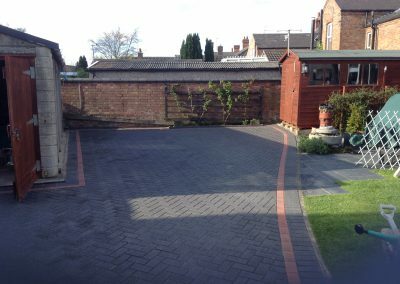 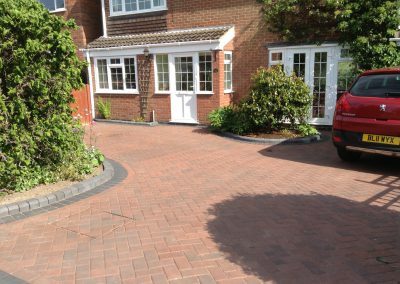 As installers of block paving Leicester we are proud of the work we produce and the hundreds of satisfied customers who are happy to recommend us.